See this post for another free source of curriculum: Free Online Sunday School Curriculum: faithelement. Check out the Resource tab for VBS resources. 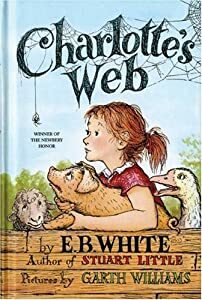 Charlotte’s Web is an inspiring story for small congregations. As the story opens, Fern’s father is on his way to the hoghouse, ax in hand, intending to kill the runt of a newborn litter of pigs. “It’s very small and weak, and it will never amount to anything. So your father has decided to do away with it,” Fern’s mother explains. As the story unfolds, Fern lovingly nurtures the little pig, now named Wilbur, and he thrives. Later Wilbur moves to Fern’s Uncle Homer’s barn where he makes new friends. The most special friend is a gray spider named Charlotte, who comes up with an ingenious plan to get the humans to see Wilbur in a different way. Whereas the humans see Wilbur as a runt or as future bacon, Charlotte gets them to see that he is “Some Pig,” “Terrific,” “Radiant,” and “Humble.” In succession she weaves these words into her web, and the humans get the message. 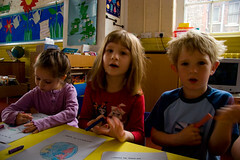 Our small congregations need friends like Fern and Charlotte who see them through the eyes of God. With this kind of vision they can thrive! E.B. White. Charlotte’s Web. New York: HarperCollins, 1952. Illustrations by Garth Williams. There are two new tabs at the top of the masthead of The Mustard Seed Journal. The Good News Texts tab takes you to a long list of Biblical texts that are good news to small congregations of God’s people. Perhaps you’ll find inspiration for Bible study and preaching here. The Resources tab is an annotated list of books and online resources. There is also a list of music resources for congregations who don’t have people who can play musical instruments. As time goes on, I’ll try to highlight some of these resources, and I hope to do more evaluation of the music resources and post more information about them.